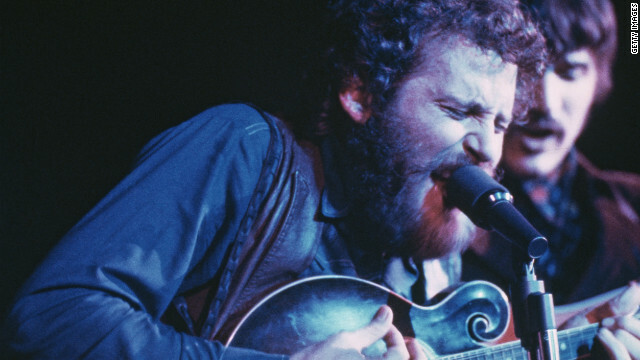 Levon Helm performs with The Band at the Fillmore East in New York in May 1969. Levon Helm of The Band died Thursday. Known for his distinctive voice, his passing has placed an enormous weight on the hearts of many of his fans. They've come to CNN.com to take a load off their sorrows and share their love of their singer. One reader said they got to witness what some say is Helm's greatest-ever performance along with a slate of performers including Bob Dylan, Van Morrison, Neil Young, Ronnie Hawkins, Joni Mitchell and Neil Diamond. jls22: "I was there on that historic Thanksgiving evening in 1976. The musical genius and energy in the room that night is forever etched in my memory. I meet you back stage at a concert some years later with The Hawk, your spirit and enthusiasm as strong as ever. My deepest condolences to Sandy and Amy, Ronnie and Wanda. You're with Rick and Richard now. Play on, gentlemen, play on. Rest In Peace Levon." Some praised the simplicity of Helm's work. Dorothea777: "There was no artifice in Levon, no gimmicks, no prancing about in meat suits or lining up a passel of dancing girls. He didn't need any of that. Levon was wonderful just as he was, and as true to his roots as a sunrise over a cotton field in East Arkansas. A magnificent voice and a massive talent, honed in a world that hardly exists anymore, an honest world that values the real, everlasting things. My condolences to his family and friends, and my gratitude that so long as a single recording of Levon exists, he will still live for us. Hung be the heavens with black." 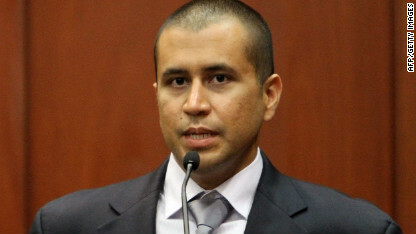 George Zimmerman testified, along with his wife and parents, at a bail hearing Friday in Sanford, Florida. Overheard on CNN.com: Trayvon Martin case 'no-win situation' for all parties? Some new details emerged from the hearing during which a Florida judge set a $150,000 bond for George Zimmerman. Readers have been assessing the information, and they're telling us they aren't quite sure what to make of the Trayvon Martin case. Since some of the most critical information in the case has not been released publicly, it's difficult to make a judgment. Many of our commenters felt that both Zimmerman and Martin's stories are sad. "1. Overzealous. 2. Rash. 3. Naive. 4. Foolish. Four words that describe Zimmerman. This case doesn't meet the standard for murder, it probably meets the standard for manslaughter. I do not believe Zimmerman intended on shooting anyone, I do beleive that his actions were sufficient for Trayvon Martin to feel threatened. Very sad, Zimmerman thought Trayvon was a criminal, Martin thought Zimmerman intended him harm. One is dead and one has ruined his life. Should have just let the cops handle it. Thanks to the NRA pushing laws that Law Enforcement Officers have repeatedly opposed because of this exact reason we now have one life ended and one life ruined. I can empathize with both, I am sure that will (anger) a few of you." The replies were along similar lines, with this reader saying no one wins from the situation. userjoe9066: "Very well worded, pretty much matches up with what I feel right now, it's just a no win situation even if they public gets what they want and Zimmerman gets hung or whatever happens to him it won't bring back Trayvon, there really is no winner in this situation. Hope it works out somehow though. I empathize with both sides." Filed under: Florida • Justice • Overheard on CNN.com • Trayvon Martin • U.S. Rescue workers search through debris Friday following the crash of a Bhoja Air Boeing 737 plane in the outskirts of Islamabad. 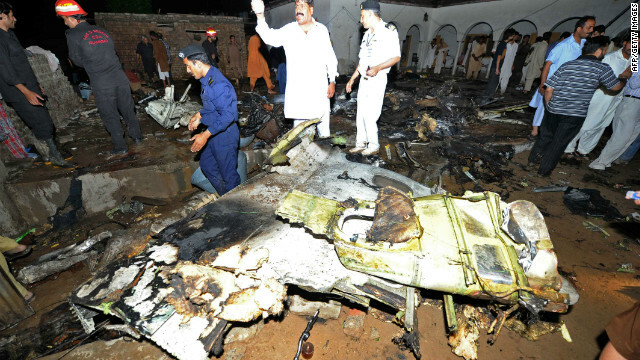 At least 121 people were killed Friday when a Bhoja Air Boeing 737-200 crashed in Islamabad, Pakistan, according to officials. Pakistan's Civil Aviation Authority has cited poor weather as a possible factor. The following is a chronological list of commercial plane crashes with more than 200 fatalities. The list does not include crashes resulting from terrorist or military action. * March 3, 1974 – 346 people are killed when a Turkish Airlines (DC-10) crashes in Bois d' Ermenonville, France. * March 27, 1977 – A KLM Royal Dutch Airlines Boeing 747 crashes into a Pan American World Airways Boeing 747 at the Los Rodeos Airport at Tenerife in the Canary Islands, killing 574 people (326 passengers on the Pan American airplane and all 234 passengers plus 14 crew members on the KLM plane). The accident occurs when the KLM airplane begins its takeoff while the Pan American airplane is still on the runway. * May 25, 1979 – An American Airlines DC-10 crashes after takeoff from Chicago O'Hare International Airport, killing 275 on board and three on the ground. During takeoff, an engine on the left wing falls off; the FAA later faults American Airline maintenance techniques for the crash. * November 28, 1979 – An Air New Zealand DC -10 crashes into Mt. Erebus in Antarctica, killing 257 people. The crash is believed to be the result of a navigational error. Forty-three people were killed and 18 injured Friday morning in a roadway crash involving a bus in the Mexican state of Veracruz, the governor's office said. A great white shark like this one killed bodyboarder David Lilienfeld. Great white shark kills championship bodyboarder; did chumming attract beasts? South African championship bodyboarder David Lilienfeld, 20, was killed by a great white shark Thursday in Kogel Bay near Cape Town as he caught waves with his brother, according to local news reports. A shark estimated to be between 13 and 16 feet long bit off Lilienfeld's right leg, the reports said. Witnesses saw the attack from the rocks overlooking the bay, which is part of the larger False Bay. 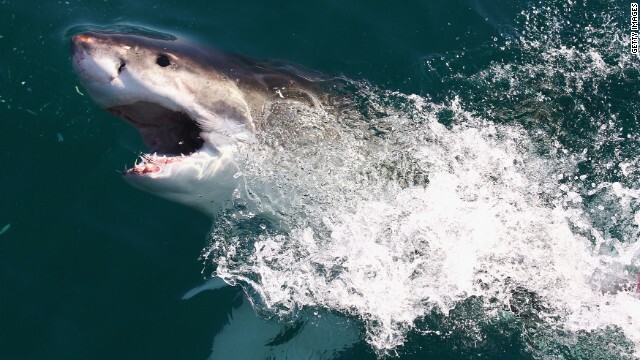 One of them was Lucille Bester, who said she saw the shark about 20 to 30 yards from Lilienfeld and others in the water but was too far away to catch their attention, according to a report from the Cape Argus on the website Independent Online. "The next thing we saw the shark come from under one of the guys and grab him. The shark shook him and then let him go. The surfer was screaming – it was terrible!" Bester is quoted as saying. “Then it took him again. And that was it. It took him under. The first time it took him, there wasn’t any blood. But the second time there was," Bester told the Cape Argus. Fellow surfer Mat Marais saw the attack from the beach, according to the report. [Updated at 10:48 a.m. ET] An airplane with 127 people on board crashed Friday near an airport in Rawalpindi, Pakistan, Pakistan's GEO-TV reported, citing sources. The country's Civilian Aviation Authority confirmed reports of a crash, the station said. 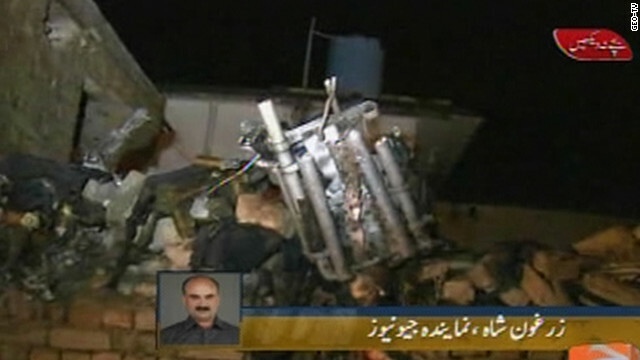 The Boeing 737 was flying from Karachi and crashed on landing, the Karachi-based Pakistani news channel reported. The weather conditions in the area include high winds and limited visibility, according to CNN meteorologist Mari Ramos. Rescue teams were reportedly headed to the crash site. 9:00 am ET - Zimmerman bond hearing - Lawyers from the man accused of killing Trayvon Martin will ask that their client be granted bond. Martin's parents plan to be in the courtroom when George Zimmerman appears for his hearing. Police and federal agents were expected Friday to continue searching in a Lower Manhattan basement for clues in the more than 30-year disappearance of six-year-old Etan Patz, the boy who became the face of missing children in America. Etan Patz disappeared May 25, 1979, a block from his home in the city's SoHo neighborhood. It was the first time he walked to the bus stop by himself. Authorities said both new and old information led them to a carpenter and part-time handyman who met Etan the day before he disappeared and gave the boy a dollar. It was interest in the carpenter that prompted authorities to bring a cadaver dog to a SoHo basement, where Etan apparently encountered the 42-year-old carpenter, according to a source with knowledge of the investigation. The dogs picked up the scent of human remains, the source said. More Secret Service employees could leave the agency Friday because of a prostitute scandal, said House Homeland Security Chairman Rep. Peter King. King's, R-New York, comments come as the identities of two Secret Service supervisors who have lost their jobs were revealed and the controversial public Facebook pages of one of them has surfaced. The Secret Service supervisors who have lost their jobs because of the scandal during a recent trip to Colombia were identified as David Chaney and Greg Stokes, a source familiar with the investigation told CNN National Security Contributor Fran Townsend on Thursday. An attorney will ask a Florida judge Friday to allow George Zimmerman to post bond despite ongoing concerns about his safety amid a national uproar over his role in the fatal shooting of 17-year-old Trayvon Martin. Zimmerman went into hiding immediately following the February 26 shooting of the unarmed, black teen after the case sparked a heated, national debate over racial profiling and saw thousands of protesters demand his arrest. "There have been a lot of emotions that have come forward in this case, and some of those emotions have shown themselves in bad ways," defense lawyer Mark O'Mara said this week about his client's well-being. Zimmerman, 28, surrendered to authorities after being charged with second-degree murder in connection with Martin's death. Martin's family contends Zimmerman racially profiled their son, who was walking back from a convenience store in Sanford.